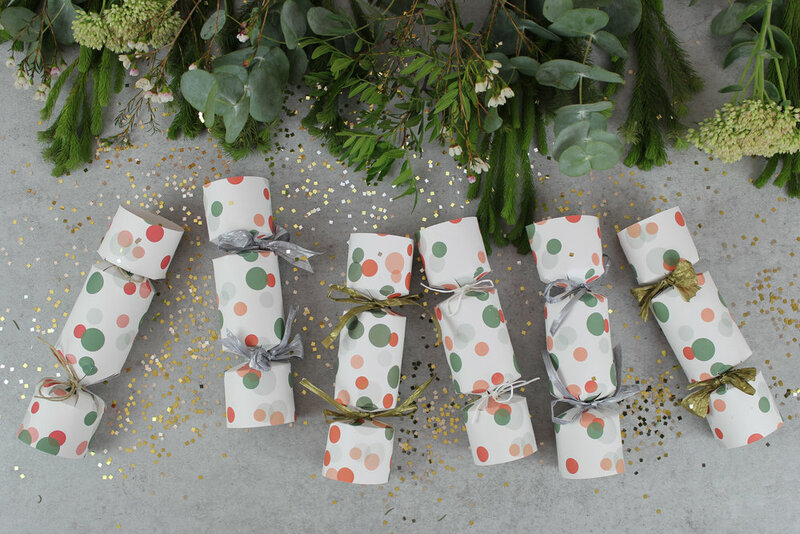 Goodies to fill the crackers - paper crowns, joke, small toys, chocolate, be creative! Download and print the template provided. Stick the printed template to a piece of card (this will make it easier if you are making a lot of crackers) and cut around the solid lines, leaving the dotted lines (these show where to fold cracker later). 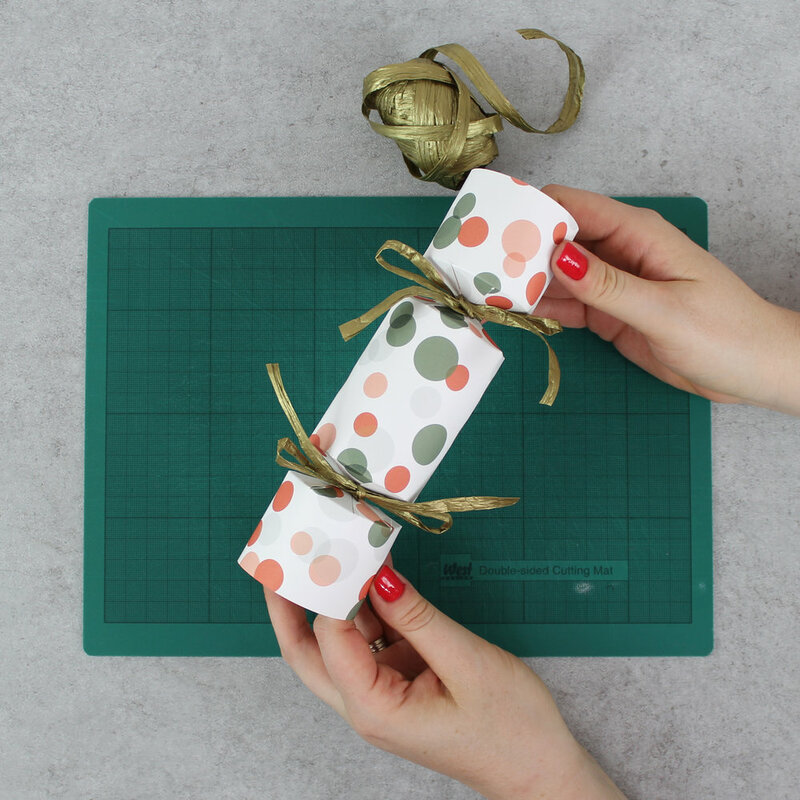 Use your cardboard template to trace the outline on to your chosen cracker shell paper, this could be festive wrapping paper, recycled magazines or paper that you have decorated. Using your ruler add the dotted lines above and below the diamond shapes. 2. 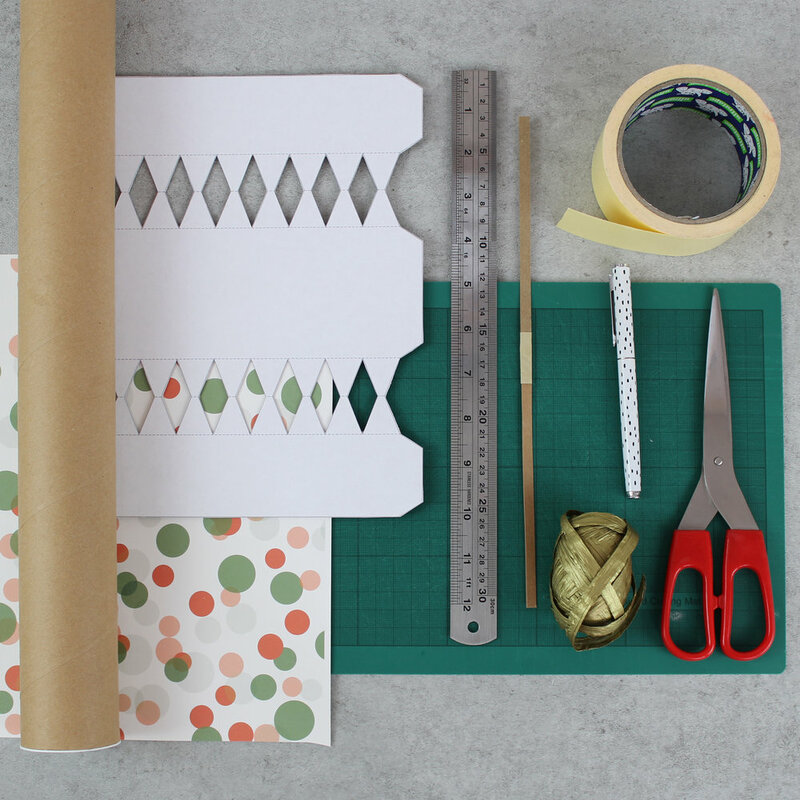 Cut out the traced design - you can use scissors to do this, or a craft knife and metal ruler if you prefer. 12. Tie up the other side of the cracker and voila, you have made your cracker! So now you know how to make crackers, the possibilities are endless! You could make mini ones filled with a homemade truffle and add name tags for Christmas place cards; use them to make an alternative advent calendar or make a giant one as a gift box.